The explicit aim of the Hungarian government is to establish Subsidized Housing for a minimum of 10,000 people in the phase of deinstitutionalisation between 2017 and 2023 and a service provision system that supports independent living and develops independence skills. The government assigned Equal Opportunities of Persons with Disabilities Non-profit Ltd. (Fogyatékos Személyek Esélyegyenlőségéért Közhasznú Nonprofit Kft., FSZK) with the methodological and coordination tasks connected to deinstitutionalisation. 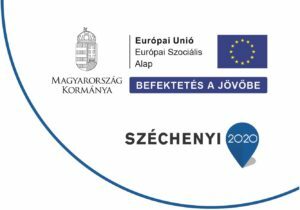 Accordingly, we launched our top priority project: “TÁRS – Szociális intézményi férőhely kiváltási szakmai koordinációs műhely kialakítása” (“PARTNER – Establishment of Professional Coordination Workshop for Deinstitutionalisation”) (ID No. : EFOP-1.9.1-VEKOP-15-2016-00001). The committed team of FSZK is convinced that the cooperation of every person, parent, advocate, professional, service provider and decision maker concerned is required for the successful implementation of the task. Our aim is to ensure that deinstitutionalisation and the restructuring of the service provision system would occur safely, based on the needs of people with disabilities and by providing sustainable, quality services. The purpose of Project TÁRS is to provide the professional and methodological background for the deinstitutionalisation of social institutions providing personal care in the country, in accordance with the provisions of the National Disability Programme and other relevant legislation.